Discussion in 'Gaming (Software and Graphics Cards)' started by HTWingNut, Jan 28, 2016. Yeah! Couldn't play it last night, ****ty hotel wifi speeds. Dowload took 7 hours. Can't wait to get to it today. Edit: After a quick session this seems to be an awesome game. Finally something that doesn't baby us around and not everyone is a winner. I'm not ashamed at all having died a bunch of times during the tutorial. Make the fights that much more satisfying. Will get into Sekiro when the newness of Division 2 subsides. Already have it downloaded and ready to go. Me too. Some of the usual youtubers/streamers make it look way too easy. Outward is out today. Looks too interesting to pass it up. I hope the back end of this year doesn't end up as loaded as the front end was....Played Anthem, playing Division 2 now, have Sekiro downloaded, in process of DL'ing Metro (got for free with my new laptop), MK 11 comes out in less than a month, and then Rage 2 comes out May 14th (looks cool, will hopefully be worth playing). Just a quick heads-up, playing Outward in parallel with Sekiro is a bad idea. 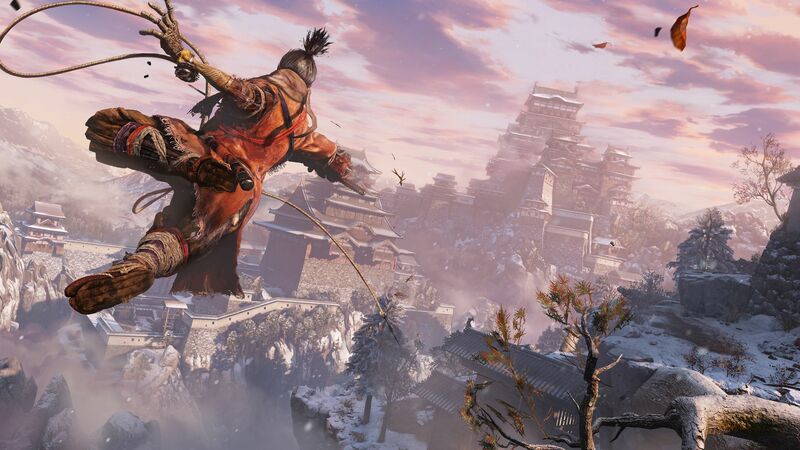 With the combat in Sekiro being so good, Outward feels much much weaker. It almost feels as if your weapons just go through enemies and don't connect at all. Otherwise the atmosphere is nice. I'm not saying anything bad about it but it sort of feels... dated and a bit clunky, compared to other current games. Not drawing a conclusion yet, I've only played for a few hours. It definitely looks like a completely different type of game, comparisons are probably irrelevant. New Laptop for Movies and "Games"
gripschi, Apr 18, 2019 at 8:09 AM, in forum: What Notebook Should I Buy?